EM 3/c Jarnagin F. Campbell, son of Mrs. O. L. Campbell, Graham, husband of Pauline Burges, graduate of Graham High. 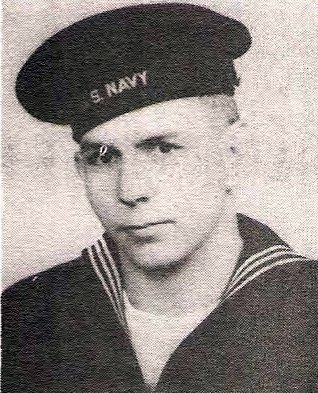 Entered navy Seabees, 194-, trained at Great lakes, Ill., Camp Hueneme, Cal. and R.I. Served in Pearl Harbor. Awarded APO and GCM. Discharged in 1946.